Make the right choice! Millions of people will purchase some kind of drinking water filter over the next year, but unless they purchase a Multipure system and filter, they will be buying a product that provides less than ideal drinking water. The Multi-Pure MP750SB is part of the water filter test program at Consumer Reports. 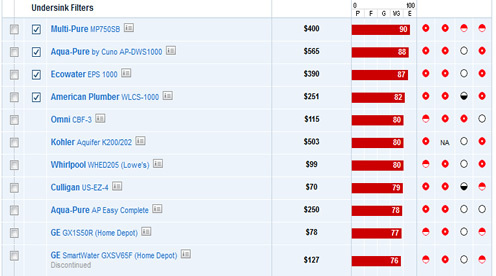 In our lab tests, water filter models like the MP750SB are rated on multiple criteria, such as those listed below. Best Rated Multipure MP750SB – 2012 Consumer Reports water filter review awarded the highest grade MP750SB undersink filter. 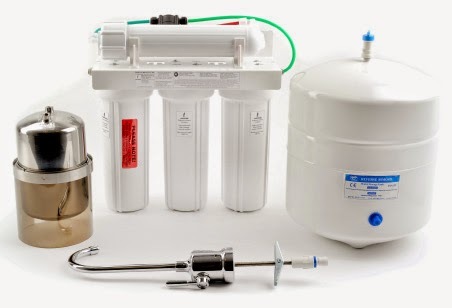 Multipure undersink filter systems are on top in the 2012 Consumer Reports review of undersink water filters. Multipure MP750SB is one of the best filtration systems on the market. Click here for current Multipure promotions. Many potentially harmful contaminants have yet to be evaluated, much less regulated. The E.P.A. has compiled a list of 100 potentially risky chemicals and 12 microbes that are known or expected to be found in public water systems, but are not yet regulated. Multipure has been NSF to reduce up to 90 contaminants more than any other water filter on the market. Some companies tout their products as “tested according to NSF standards” or “meets NSF testing requirements,” but unless they have been officially NSF certified, such claims are not a guarantee of quality. 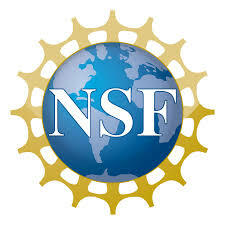 NSF is a third-party not-for profit organization that certifies product performance. NSF International literally sets the standard for performance testing for drinking water filters, and their extensive testing and certification of Multipure products is proof of Multipure’s performance. The NSF Certification is your assurance that the filter you buy really does filter out what it claims to. A demonstration concerning misleading statements about total dissolved solids. 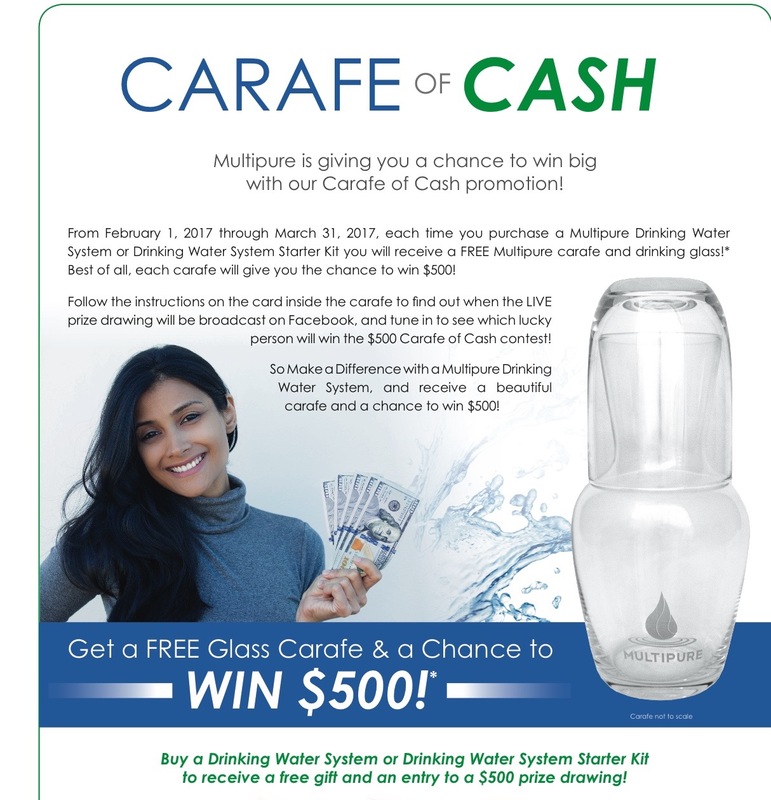 Millions of people will purchase some kind of drinking water filter over the next year, but unless they purchase a Multipure system and filter, they will be buying a product that provides less than ideal drinking water. So as a Multipure customer, you have an opportunity to have the best solution, and best choice, for better, healthier water. Multipure filters remove harmful contaminants from your tap water without removing the natural beneficial minerals that your body needs; this allows you to drink water that is safer, more refreshing, and healthier for you. In addition, Multipure provides this delicious and healthy drinking water when you need it, conveniently at your fingertips in your home. Copyright: likephotoman / 123RF Stock Photop> News report of contaminant's widespread presence raises public drinking water concerns. 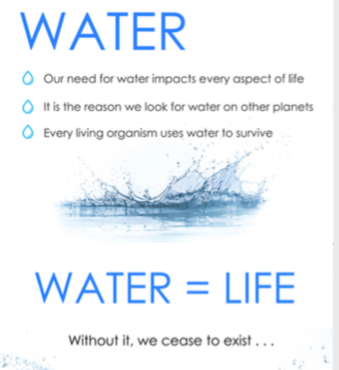 MultiPure has solutions to health concerns in drinking water. President Obama's Cancer Research Panel encourages Americans to protect themselves from water-borne carcinogens by simply using an effective water filter. Chromium (or chromium-6) is a highly toxic form of the naturally occurring metal chromium. It is a well-known human carcinogen when inhaled, and recent evidence indicates it can cause stomach or gastrointestinal cancer when ingested in drinking water. A different form of this metal, trivalent chromium, is an essential nutrient. (PFC), have been linked to negative effects including high cholesterol, hormone suppression, cancer, and decreased child immune system health. The EHP study finds that young children exposed to these contaminants are more likely to suffer from decreased levels of immunity against diphtheria, tetanus, measles, and influenza, even with prior vaccination. Our Whole House/point-of-entry (POE) system the Aquasource is a very robust system designed to treat some of the most common problem areas for the whole house: sediment, chlorine chloramine and lime scale. The Aquasource has a lifetime Warranty, no other system has this kind of coverage. 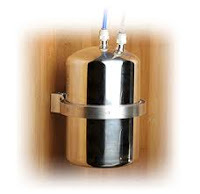 This system installs in the garage or basement near the water heater. An array of multiple solid carbon block filters ensures that it reduces the presence of contaminants while maintaining the high water pressure needed to supply all the sinks, baths and showers in your house. The (CB20) filter effectively reduces dirt, rust, sand, algae, chlorine and chloramine, improving the smell, taste and odor, and overall quality of water for bathing or showering, and all other household water needs. If you choose the CB20 3 filters will be included with the Aquasourse. All 3 filters must be the same. The Multipure filters are disposable and easy to change. This optional filter reduces lime which prevents scale build-up on the tips of faucets and on shower heads. It also helps prevent the buildup of calcium deposits inside your plumbing. However, this media does not remove the hardness (calcium, magnesium, etc.) from the water. This filter also reduces dirt, rust, sand, algae, chlorine and chloramine, improving the smell, taste and odor and overall quality of water for bathing or showering and all other household water needs. If you choose the Multipure Aquasource Scale Reducer CB20SLI 3 filters will be included. 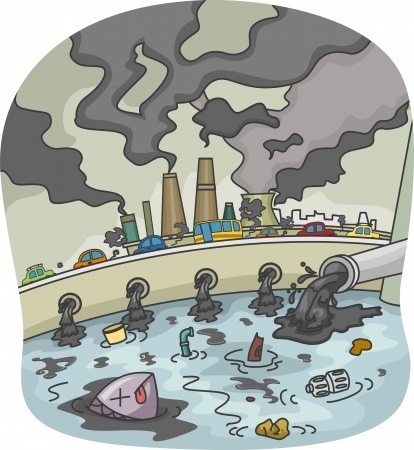 If your water has a noticeable amount of large particulate matter (et., sand , dirt, leaves, etc. ), Multipure recommends the installation of a Sediment Filter (purchased separately) before the Multipure Aquasosurce, which extends the useful life of the replacement filter cartridges. The Aquasource can provide high volumes of water for restaurant use. It will also do a very good job of making the water taste better. We recommend that professional plumbers install the Aquasource however, it can be routinely maintained by customers. The base system does not come with any installation parts, they need to be provided by the installer. If properly installed with a drain valve, by a plumber, a customer (who can lift 25lbs.) can easily maintain the system. The only regular maintenance needed for the Aquasource is the periodic change-out of the filter cartridges. This is an easy process-if a drain line is installed- and shouldn't take more than about 10 minutes. The Multipure Aquasource Whole House System is designed to be most effective with municipally-treated water and is designed for cold water use only, and at a maximum water pressure of 100psi. 90 Days-Satisfaction Guaranteed. If, for any reason, you are not completely satisfied with your Multipure Drinking Water System, Multipure will refund 100% of the purchase price. 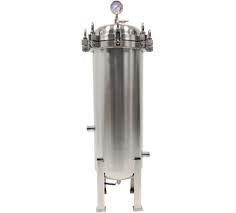 Lifetime Warranty on stainless Steel & Plastic Housing. The exterior stainless steel housing and plastic housing (canister) is warranted for use and will be repaired or replaced at no charge. A set of three (3) filters required for the Aquasource will arrive in a separate shipment (at no additional shipping and handling cost). Filters that help reduce Limescale. All exterior hoses and attachments are warranted for use and will be repaired or replaced at NO CHARGE. Proof of Purchase Required (warranty begins from the date of purchase) * Shipping and handling fees excluded. ** Provided that filter has been replaced at least once a year. Multipure’s Warranty/Refund Policy on Items other than Multipure’s Drinking Water Systems. Note: On the return policy, customer will receive refund minus the shipping and handling fees paid. News report of contaminant's widespread presence raises public drinking water concerns. 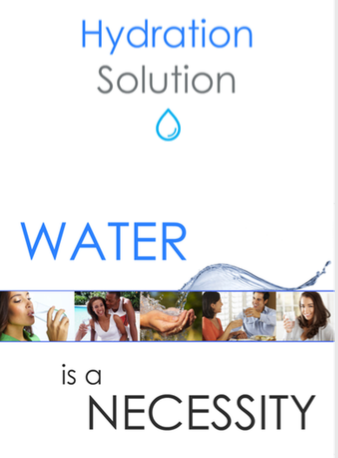 Multi-Pure has solutions to health concerns in drinking water. President Obama's Cancer Research Panel encourages Americans to protect themselves from water-borne carcinogens by simply using an effective water filter. New report of contaminant’s widespread presence raises public drinking water concern. Not so for brothers H. Allen and Alvin Rice, the founders of Multipure. For them, the purest image of water is anchored in a block of solid carbon. Commonly known as PFCs and PFOA's (per- and poly-fluorinated chemicals), these chemicals are put into products to make them more resistant to stains, grease and water, and may also be used in some food packaging, as well as in some firefighting materials. Because they help reduce friction, they are also used in a variety of other industries, including aerospace, automotive, building and construction, and electronics. Anytime a fabric is labeled waterproof, water-resistant, or stain resistant it is most likely made with PFCs. They break down very slowly in the environment. PFCs have been detected in drinking water all over the United States in both fresh and saltwater. 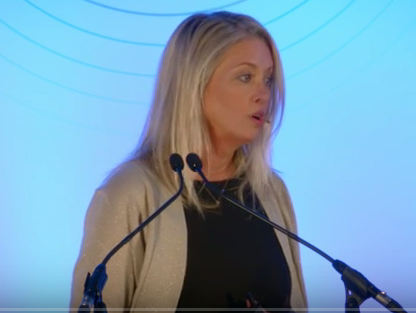 Throughout the world these chemicals are found in water bodies, even in the deep sea and have also been detected in remote areas, such as the Arctic and Antarctic and polar ice caps. Some PFC's accumulate in fish living in contaminated waters. The metal, paper and textiles industries use a wide range of products containing PFCs. Monitoring studies suggested that where PFC's were detected, drinking water treatment did not remove these chemicals. However, new data show that PFC's are effectively removed by granular activated carbon absorbers. PFCs can be released into the environment from landfill sites where products and materials that contain these chemicals are sent for disposal, and into ground and surface water through sewer discharges. The biggest environmental concern about PFC's is that they do not break down in the environment and can travel long distances in water and air currents. and remain in the environment for a long time. PFC's have been shown to be toxic to some animals, and because they don’t break down, they can bioaccumulate and biomagnify in some wildlife, including fish. 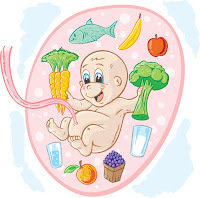 This means that fish and animals higher in the food chain may accumulate high concentrations of PFC's in their bodies. The chemicals are also known as endocrine disrupters and have been linked to so many health problems – cancer, miscarriages, thyroid problems, birth defects, reproductive problems, and other serious health problems that they have been phased out in the US and essentially banned in Europe. How Can I lower My Risk of PFC's in my drinking water. 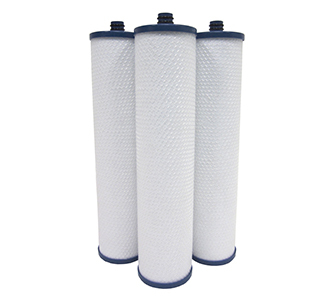 Multipure’s carbon block filters offer a vastly greater carbon surface area to filter PFCs. Lead is one of the oldest metals on the planet, it never goes away. Lead dating is used for dating and analyzing geological samples as old as the earth. We began producing lead in 3000 BC. The Romans used it for water pipes and added it to wine to sweeten it even though they were aware of the dangers to their health and the insanity it caused. Known as "plumbism" it was thought to be responsible for the madness of the Roman Emperors and the infertility of Julius Caesar. He was extremely sexually active but only bore one child. Some say the fall of the Roman Empire was due to lead in the drinking water. During the Renaissance lead was used by the Catherine de Medici for a slow poison on those who got in her way, known then as poudre de la succession, "succession powder". Fast forward to the 20th century and we began using it in gasoline, building construction, paint, pesticides, plastics, pipes, cans for canned foods, batteries, bullets and is used today in dentist's offices is a radiation shield in the heavy apron. Its use was favored by the automobile industry because it reduced engine knock. DuPont, GM, Standard Oil (Exxon) continued to use it in dangerous levels from 1925 to 1978 for profit while aware of the toxic effects. By hiring physicians to say it was non toxic they were able to continue its use. It has been estimated that 68 million children were exposed to lead in toxic levels for 1927 to 1987. Knowing all they do about the toxicity, they still sell it to third world countries. Lead doesn't break down or go away. It is always with us and all that lead is still in the air, our bodies, water and the soil. Lead effects the nervous system, causes gastrointestinal ailments, and brain dammage, among other things. No matter what we do we can't get rid of it and the best we can do is make sure it isn't in our drinking water. In order to do that we need a Drinking Water System that reduces lead to the finest microns. NSF. The Public Health and Safety Organization. NSF certified means that Multipure meets established National Sanitation Foundation (NSF) and/or American National Standards Institute (ANSI) Standards and/or State Certification requirements. Our Systems have been tested and verified and we comply with NSF/ANSI standards. When our Drinking Water System is certified the requirements are..
That the claims are true, that our system is structurally sound, that our advertising is not misleading. We are tested yearly to assure that the materials and manufacturing process does not change. *Multipure Aquaperform models are certified to reduce Arsenic V. Multipure Aquaversa and Aquadome models do not reduce Arsenic V; however, they reduce all other contaminants listed. **Multipure Aquadome and Aquaversa models only. 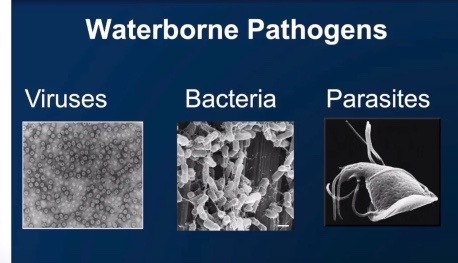 The list of contaminants that Multipure Drinking Water Systems reduce does not mean that these substances are present in your tap water. Be sure to check for compliance with state and local laws and regulations.